When discussing the topic of advanced driver training, there is often a 50/50 split between individuals who opt for booking their chosen course to further a hobby and those who require an additional category to progress in their career. Making the step to facilitate your driving skills can be hugely beneficial and in fact, opens you up to a whole host of opportunities for driving related jobs in the future. For many, a job role that involves a considerable amount of driving each shift seems like their worst nightmare, but for others, it is ideal. A vast majority of driving-based careers allow you to be incredibly flexible with your hours and due to the constant concentration, shifts do go increasingly faster than they would do so in, for example, an office based position. It means that you will never be tied down to a 9-5 job, allowing you to work more unconventional hours making it the perfect path for those with family-related responsibilities. While a large percentage of your day as a driver will be spent independently behind the wheel, a high standard of communication skills will still be required. Those who opt for the route of, for instance, a courier or delivery driver, must have the ability to interact with not only their line manager but also the supplier and merchant. Taking into consideration the plethora of benefits that come alongside taking a driving-based role, we have devised a list of a few ideas that may strike your interest ranging between many different industries. A landscaper is responsible for creating outdoor installations and sceneries for either commercial or domestic buildings, or in some cases, both. The role will require a significant amount of physical activity in all weather conditions, often for long hours at once, particularly when you have a big commercial project on hand. Due to the popularity of the role, there are a number of different pathways to becoming a fully-qualified landscape gardener, whether this may be an apprenticeship, horticulture skills course or a completing a degree at university. Taking a trailer training course is often a requirement when applying for a landscaping vacancy and is especially important if you are planning to become self-employed. A trailer will be required to transport all of your gardening equipment between jobs. The role of a delivery driver is an excellent prospect if you have recently completed 7.5-tonne training, as no form of formal qualifications is required aside from your advanced training and a clean driving record. Working for a courier company proves to be one of the most common routes delivery drivers opt to take. Reputable companies such as Hermes, Parcelforce and DPD regularly post new vacancies online for both short and long distance drivers meaning that job security remains high. Depending on your employer and the size of their products, you will be required to operate a small truck or lorry, making it imperative to hold a high level of safety skills. While the most prominent personal skills of a delivery driver are driving safety and road awareness, you must always be capable of remaining organised at all times. You will be given sole responsibility of ensuring that all parcels are delivered to their expecting owners to the correct address and in the estimated timeframe, meaning you will have to organise tasks in order of priority. Due to the constant innovation of technology, it will also remain essential to stay up to date with all process updates. Almost all steps of the delivery process will be dealt with digitally meaning you must remember to notify customers when items are out for delivery and have been delivered, again, utilising organisation skills. Becoming a taxi driver in the right area can earn you more than double the salary of a traditional 9-5 job, particularly if you opt for working in a large city. When considering taking the route of a taxi driver, it is vital to keep in mind that many steps work towards completing your taxi training including contacting your local council, obtaining a medical certificate and undergoing DBS checks. The British public relies on taxis 24 hours a day, seven days a week which significantly works towards your advantage. It is your choice whether you work as a public driver, Uber driver or a private driver for high-end hotels, restaurants or venues. Regardless of your area of expertise, there will always be the need for taxi drivers. Similarly to a delivery driver, taking taxi driver training means that you will be joining a secure industry that you can always pick back up in the future. As a taxi driver, your shifts can be tailored around your schedule, whether you’re looking for a part-time or full-time role. Many taxi drivers opt for working part-time on the weekends, along with their regular day to day job, to earn some extra money during busier periods. Friday and Saturday evenings, in particular, are guaranteed to provide you with constant work, and if you maintain a high level of customer service, you are likely to make extra based on tips. For more information on the average taxi driver salary based on location, take a look at PayScale. HGV stands for ‘heavy goods vehicle’ and relates to vehicles that are responsible for the transportation of goods from warehouses to their retailers or distributors. Similarly to a delivery driver, completing your 7.5-tonne training is required to apply for the role of an HGV driver. You must feel confident driving in all weather conditions, taking on different road types and driving at night, as well as during the day if you are considering applying to be an HGV driver. It is your choice whether you decide to stick to transportation in the UK or whether you want to venture abroad. 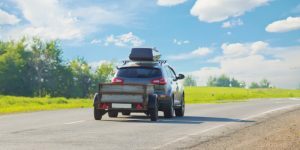 As there are laws in regards to how long you are able to be behind the wheel for one period of time, working overseas will require you to regularly stay the night abroad to rest then you can drive back in the UK the next day. Those who consider the route of an HGV driver must keep in mind that the role can become isolated, so is only suited to individuals who enjoy their own company and would be happy to work alone. Although you will be working independently, you will be given the opportunity to visit a plethora of different unique locations with as much freedom as you please. Individuals who work for a removal’s company are known as a ‘Man & Van’, and the role usually involves working in a small, close-knit team. You’ll see yourself helping clients in many different scenarios, from transporting belongings for homeowners moving into a new property to companies embarking in an office move. One of the most exciting prospects of working as a member of a Man & Van service is the potential to work with interior designers on big projects and the opportunity to meet celebrities in different industries. It is most definitely the quirkiest of employment opportunities to consider when booking an advanced driver training course. Generally speaking, although it is not a set-in-stone requirement, you are likely to find a removal role considerably easier if you have past experience working in a warehouse. A large amount of your day will consist of heavy lifting, methodologically packing objects and getting belongings from A to B quickly and safely. Clients are giving you the responsibility to care for their belongings and ensure that they arrive in their destination all in one piece, so experience will help you to settle in a little quicker. We have many pupils to opt for a 7.5-tonne course under our C1 training in Milton Keynes and surrounding areas to increase the likelihood of getting a job in this particular role. It is not a compulsory requirement to complete ambulance driver training to become a paramedic, but it is known to increase the chance of winning over your potential employer and helping you to stand out from the crowd. Paramedic roles are incredibly popular, making vacancies limited, so you want to use as many skills as possible to your advantage. Unlike many of the jobs previously mentioned, you do need more than just your advanced driver training to become a paramedic. Working in the medical industry comes alongside a tremendous level of responsibility, so technical and theory-based knowledge is considerably more important for this particular career path. Not only must you complete either a degree in paramedic science or a student paramedic course to kickstart your career, but also successfully pass a number of medical and fitness tests. Although a paramedic is the most complex of roles included in our employment opportunity ideas and will take many years of training, it is most definitely the most rewarding. You will be giving back to the community every shift, showing compassion and saving lives; there is no greater sense of achievement. If becoming a paramedic is your dream job, then take a look at our previous article titled ‘Becoming A Paramedic and Benefits Of The Role’ for a full guide on the process. According to The Telegraph, in 2016 alone, there were over 40,000 fully trained driving instructors teaching in the UK, and this has continued to rise. Becoming a driving instructor brings a whole host of great advantages, not to mention the fact that you are your own boss; you are free to build a schedule and weekly working hours that are entirely suited to you. Teaching pupils to drive is extremely rewarding when you notice their confidence growing, and they eventually get on the roads independently. No driving instructor is legally permitted to begin teaching until they have successfully passed their ADI Training. ADI Training is an essential requirement when pursuing this particular career path and includes a three-part course. Each part comes alongside an end-of-training exam which consists of both theory and practical-based questions. Once passed, it is then your choice if you go independent and start your own business or cut the hassle and join a driving school franchise. Horse riding continues to remain one of the most popular hobbies amongst the British public with hundreds of riders taking their talent to the next level and becoming a professional. Opting to complete horsebox training is hugely beneficial if you are planning to become a professional equestrian rider, or alternatively, want to avoid paying extra fees to hire a driver. Particularly when competing regularly across the nation, consistently having to pay an additional fee for a driver to transport your animal can prove somewhat costly. With this in mind, many individuals take matters into their own hands and instead, take training so that they can legally tow a horsebox. There will no longer be the need to rely on anyone else for assistance. Are You Considering A New Career Path? As we all know, it is becoming increasingly harder to find your ideal employment opportunity with hundreds of candidates fighting over the same vacancy. The more skills and qualifications you can present, the more likely you are to win over employers as they will not have to worry about paying extra expenses to send you on additional training courses. Taking an advanced driving course can either set you off on a whole new career path or help to further your current role, hugely benefiting you financially in the future. If you are interested in taking part in any form of advanced driver training, then please feel free to contact Pure Driving. Not only do specialise in C1 training in Northampton and surrounding areas, but also trailer training in Milton Keynes.